Alongside several Xiaomi phone, the MI Mix will get the Android nougat update. Infact its the primary contender among all the devices. Here we track down, Mi Mix Nougat update software news and related details. The Xiaomi MI Mix is all ceramic made smartphone with edge to edge screen. It’s a smart phone that need no introduction just like Google pixel or Apple iPhone, something Xiaomi should be proud to achieve this feat in mobile arena. It has splendid specifications to out-throw any device but sadly it runs on Android 6.0.1 Marshmallow based MIUI 8 software. Xiaomi development team has recently started working on Android Nougat based MIUI update. 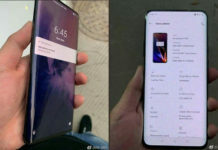 Unlike Motorola phones, Xiaomi phones comes with custom user interface, known as MIUI which is like Samsung’s Touchwiz UI and includes lots of bloatware. The Android Nougat for MI Mix should be available through MIUI 9 OTA roll-out. Both Chinese ROM and Global ROM will be available for download. 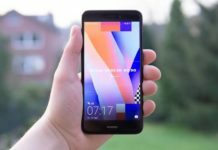 MI Max Android Nougat update will be available via over the air and Xiaomi will send update notification right on your mobile device. You can even update your device by connecting your phone to PC and heading on to Xiaomi Mi Manager software. As of now Xiaomi hasn’t said any word when they would be releasing Android 7.0 update to MI mix but we are certain that it will be available. We will let you know once when the update roll-out begins but it wouldn’t happen so early because the update is in testing phase.